Do you find yourself racing through your day, wishing you had more time to accomplish essential tasks? Do you find yourself staying up way too late, far after your family members have drifted off to sleep, so you can get more done? If that sounds like you, know that you’re not alone. Plenty of people are thinking and doing a similar thing. But there is a brilliant way to streamline your routine and get the most out of your day – call American Appliance Repair at 800-640-9934. We’ll send a technician your way to make sure all your home appliances are optimally calibrated so they work well every single time you turn them on. This will save you tremendous amounts of time – you won’t have to rewash dishes or laundry, you won’t have to stress about burning food in the oven or on the stove, and you won’t worry about your eggs freezing in a too-cold fridge. 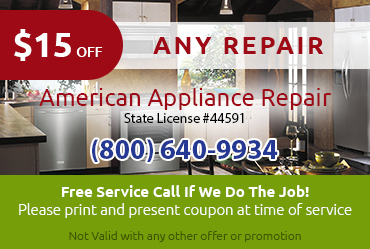 Many common routine-busting problems will no longer be an issue when you rely on American Appliance Repair. It’s such a good idea to call us if any of your home appliances aren’t working perfectly. Our maintenance services will save you lots of money and time. Plus it’s such a good idea to call us for maintenance services before your home appliance breaks down completely. You’ll save time, money, and hassle by calling American Appliance Repair at 800-640-9934 for expert home appliance maintenance services today. 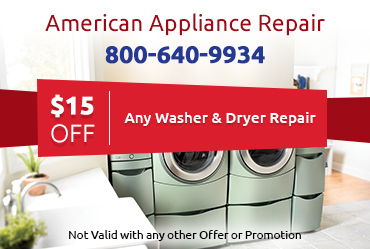 Get $15 off any repair. And get a free service call if we do the job. Not valid with any other offer or promotion – make sure you mention this offer when you call to schedule your appointment. 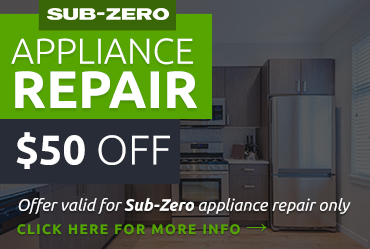 Get $50 off a Sub-Zero appliance repair, or $15 off a washer or dryer repair. Rely on American Appliance Repair for all your home appliance maintenance and repair needs to keep your routine streamlined and as smooth as silk. Many people’s routines are slowed down considerably because of home appliances that don’t work that well. Extra steps have to be added when they shouldn’t be necessary. 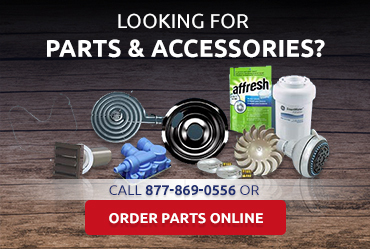 You should save time and skip the hassle of having to deal with home appliances that don’t work perfectly – call American Appliance Repair at 800-640-9934 for effective home appliance repairs today. Lots of people replace their home appliances prematurely when they start acting up – but that’s often not necessary. Before you decide to buy a whole new washer and dryer or whichever home appliance it may be, make sure you give American Appliance Repair a call at 800-640-9934. We’ll send an experienced, knowledgeable technician over to evaluate your appliance and give their professional opinion about whether it’s worth repairing or should just be replaced. Let us save you money with our expert home appliance repairs today – call 800-640-9934.